This theory identifies two natural curves that must be negotiated for successful tracheal intubation. The ‘primary’ oropharyngeal curve follows the superior surface of the tongue and ends in the laryngeal vestibule, where it meets the ‘secondary’ pharyngo-glotto-tracheal curve, which follows the trachea downwards. It can be seen from the figure that these curves form an ‘S’-shape (i.e they curve in opposite directions). The primary and secondary curves meet at an inflection point within the laryngeal vestibule (the space between the epiglottis and glottis). The tangent of the line joining the two curves at the inflection point is known as the ‘vestibule axis’ which itself is set at a variable angle depending on patient position and other factors. This is up sloping in the neutral position, making it more difficult to visualize the glottic opening and pass a tracheal tube. The sniffing position also has a beneficial effect on the vestibule axis, bringing it into a flat or down sloping position. When attempting intubation in the neutral position, for example, during manual in-line stabilistation, external laryngeal manipulation may flatten the vestibule axis, improving visualisation of the glottis and passage of a tube. However, the use of a bougie or stylet may still be necessary. The posterior column (called the ‘posterior complex’ in the original paper) is managed during the ‘static phase’ when the patient’s head and neck are positioned before attempts at laryngoscopy. The ability to position the head and neck in the optimum position for laryngoscopy is dependent on the range of movement of the occipito-atlanto-axial complex. Pathologies affecting the posterior column include rheumatoid arthritis, previous surgical fixation and external stabilisation such as halo fixation or manual in-line stabilisation. The anterior column (called the ‘anterior complex’ in the original paper) comes into play in what Greenland describes as the dynamic phase of laryngoscopy, where the laryngoscope is passed into the mouth and anterior column tissues are moved in an effort to view the glottis. The anterior column is in the shape of a pyramid containing the submandibular space and glossal muscles, with its vertices at the temporo-mandibular joints, the hyoid bone and the lower incisors. Its upper border is the superior surface of the tongue. Anything that reduces the size of this column (such as retrognathia or a narrow palate) or the compliance of the tissues within it (such as infection, haemorrhage or radiotherapy) can affect how easily the tissues can be displaced during laryngoscopy. Greenland has further developed his three-column model to predict which airway devices might be of use for each problem. His findings are summarised in the table below. 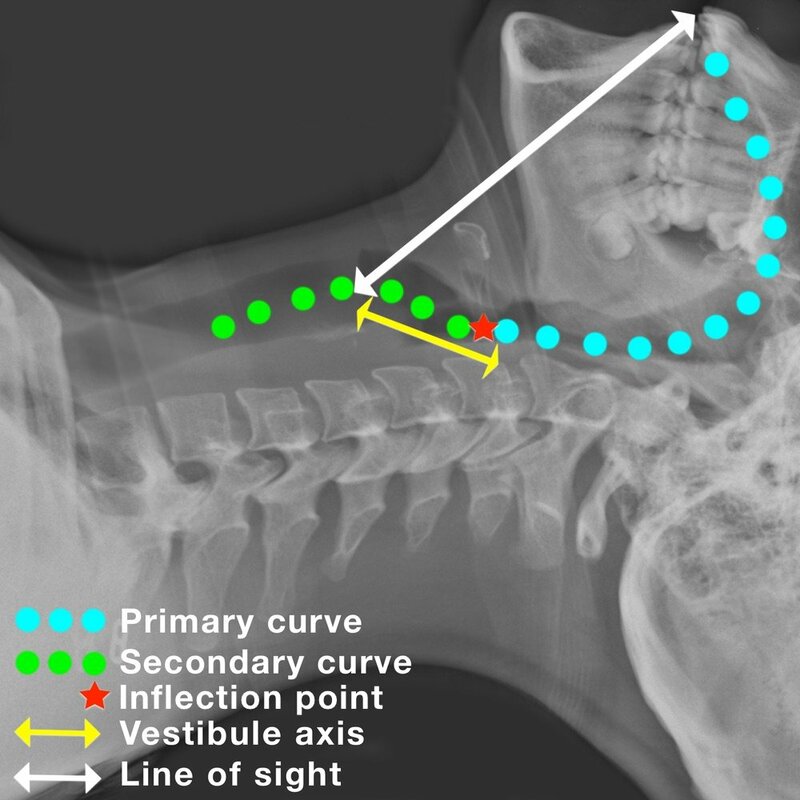 Two-curve theory goes a long way to explaining difficulties with visualisation of the glottis (due to a pronounced primary curve and/or an up sloping vestibule axis) and with delivery of the tracheal tube (due to a pronounced secondary curve). Understanding this theory can therefore help us trying to overcome these difficulties, for example, with correct positioning, external laryngeal manipulation, and the use of stylets and bougies. It is essential to understand these three stages and that how we achieve them differs between airway devices. Levitan suggests that Stage 1 should be a slow, methodical process, where the first objective is visualisation of the epiglottis (‘epiglottoscopy’). This structure will almost always be in the midline, and signals our first view of the laryngeal structures. Levitan advises having a Yankauer sucker in the right hand during this process, to clear secretions, which might be masking the tip of the epiglottis from view. How the epiglottis is reached depends on the device used, the difference being how the tongue (and therefore the primary curve) is negotiated. 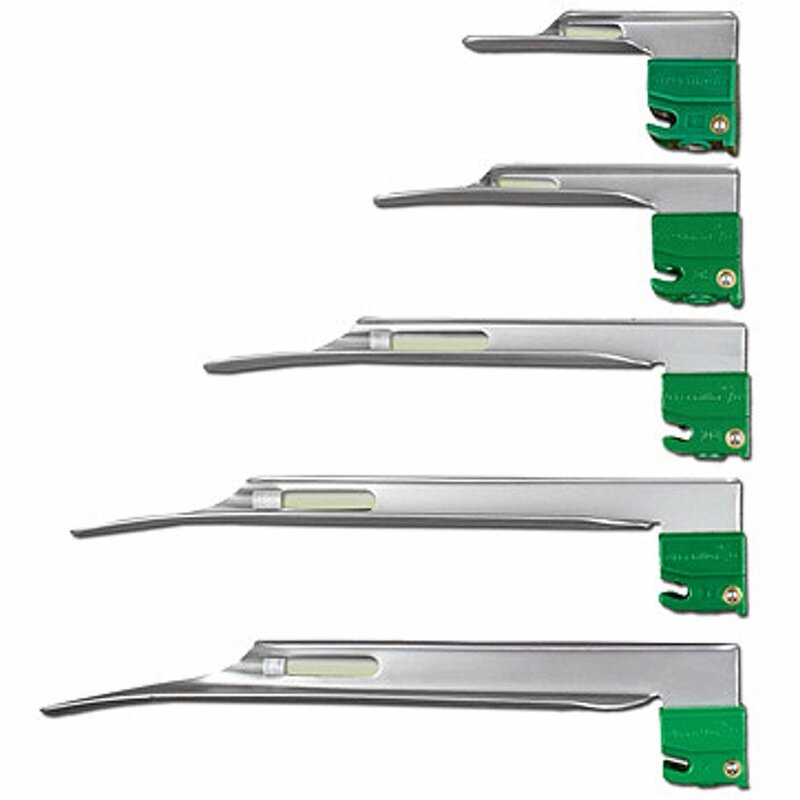 For example, the straight blade is directed lateral to the tongue and bypasses the primary curve, the standard Macintosh blade displaces the tongue to the left and flattens the primary curve, and angulated videolaryngoscopes follow the tongue in the midline and therefore follow the primary curve. In all cases, the next step is to gain a view of the glottis by either lifting the epiglottis directly (straight blade laryngoscopy) or indirectly, by deploying the hyo-epiglottic ligament with pressure in the vallecula (all other devices). In all cases, the next step is to lift the tongue and other tissues of the anterior column with upward force in the axis of the handle of the laryngoscope, hopefully resulting in a full view of the glottic opening. If not, Levitan advocates the use of bimanual laryngoscopy, whereby the intubator uses their right hand to manipulate the larynx into view. An assistant can then hold the larynx in the same position while the intubator moves on to Stage 2. Bimanual laryngoscopy has been found to improve the view of the glottis more frequently than cricoid pressure, BURP14 (Backward Upward Rightward Pressure on the thyroid cartilage) or no manipulation in a cadaver model.15 Another manoeuvre, which can be used in difficult cases, is to lift the head further, either with the right hand or with the help of an assistant. 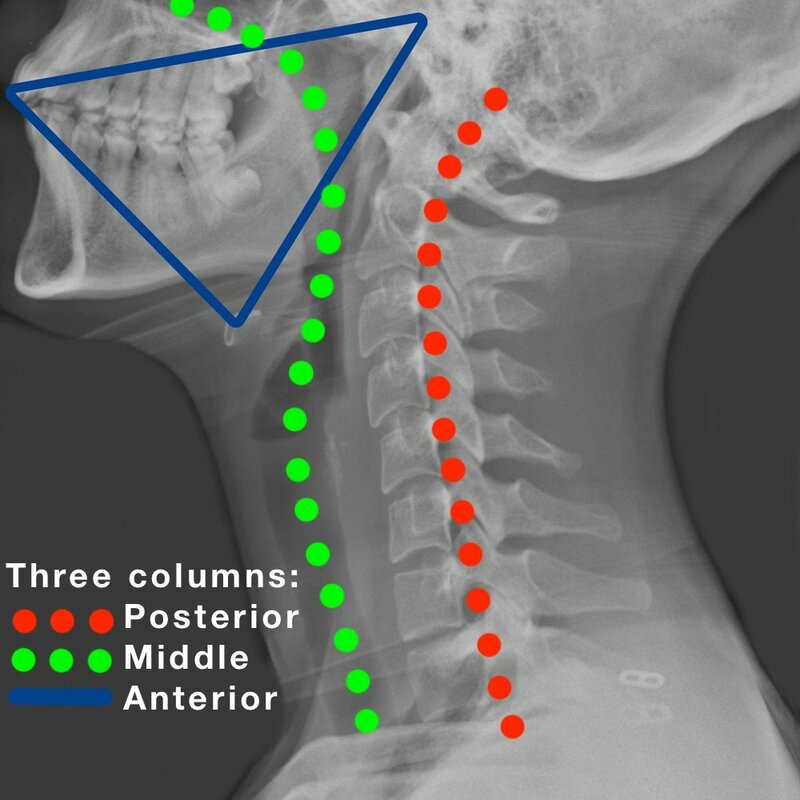 This is contraindicated if there is cervical spine instability. This stage is also dependent on the device used. 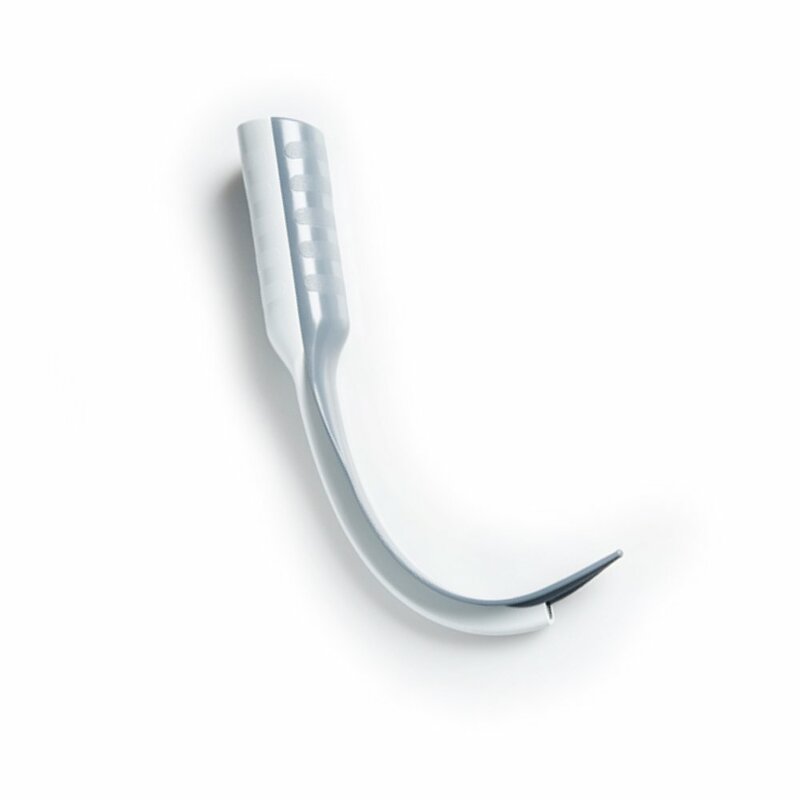 Laryngoscopes that bypass or flatten the primary curve, by definition, result in a straighter line of sight to the glottis than those that follow the primary curve. As a result, a tracheal tube can be advanced towards the glottis at a straighter angle than when using a non-channelled angulated videolaryngoscope. This explains why angulated videolaryngoscopes require a channel to guide the tracheal tube, or the use of introducers to aid tube delivery. 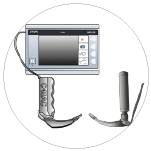 If an angulated device is being used, it is important not to advance too close to the glottis – the larynx should not fill the entire monitor screen. In addition, at this point, angulated devices should be tilted slightly downwards, so that the glottic opening is seen in the upper half of the monitor screen, leaving the lower half for visualisation of the approaching tube or bougie. This has two main advantages. Firstly, the tube or bougie can be seen approaching the glottis and adjustments can be made to allow easy passage. 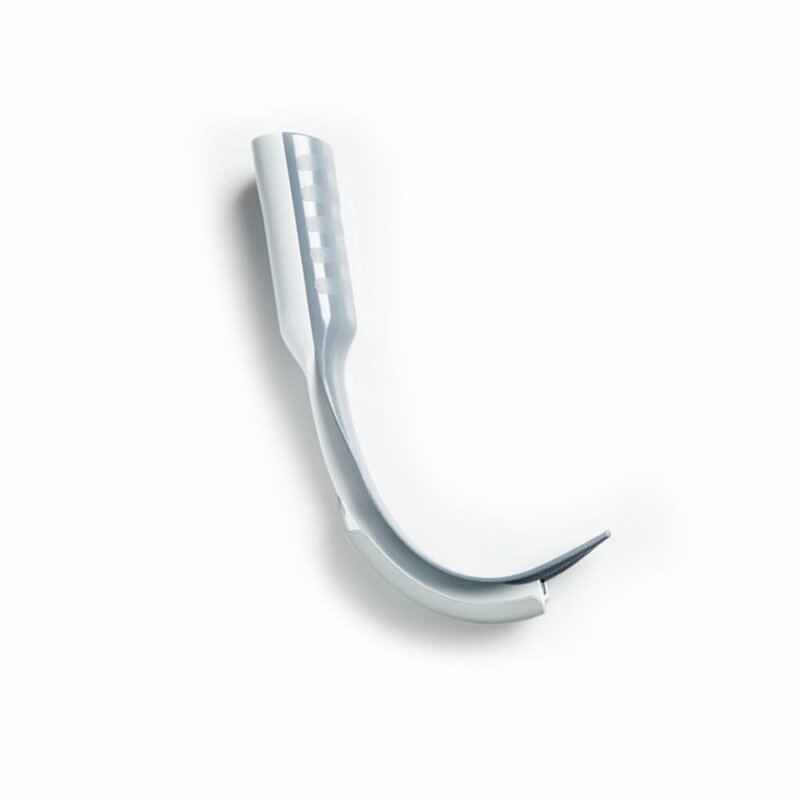 Secondly, tilting the device results in a decreased angle between the laryngoscope blade and trachea, so that the tube or bougie will pass more naturally into the glottis. 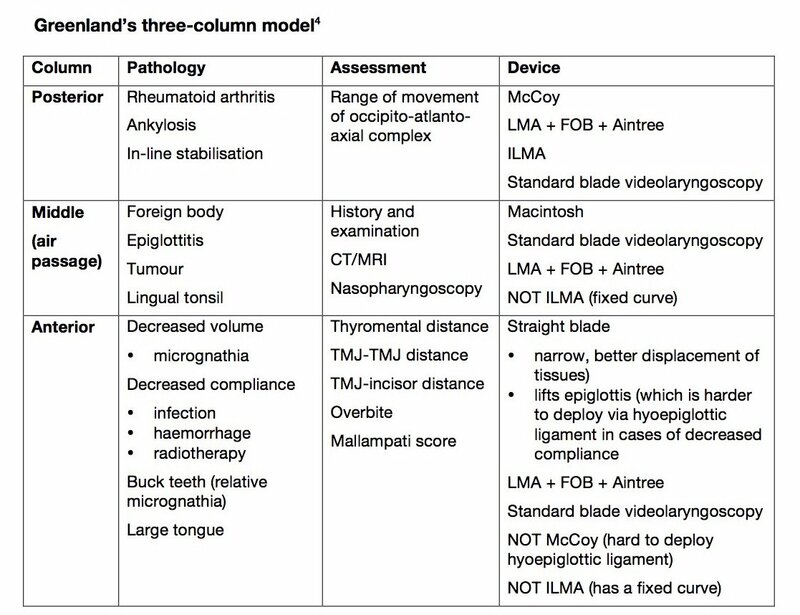 The use of different laryngoscopes during Stages 1 and 2 is summarised in the table below. 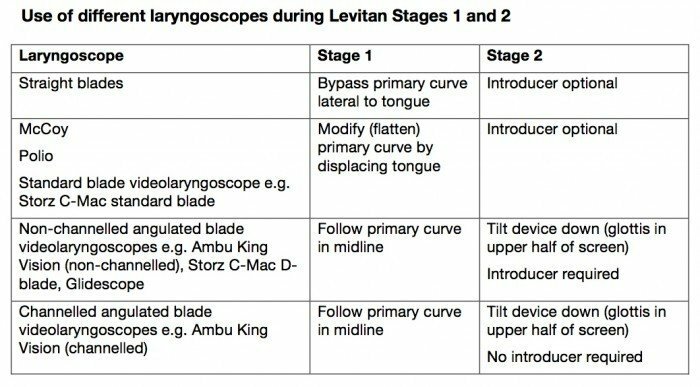 For non-channelled devices, Levitan suggests inserting the bougie or tracheal tube into the right-hand corner of the mouth, then directing the tip posteriorly so that it comes into the line of sight (or monitor screen) from below. In this way, bougie or tube does not obstruct the view of the glottis until Stage 3 – advancement of the tube into the trachea. Successful passage of the tracheal tube again depends on the angle at which the tube is advanced, which again is device dependent. Angulated videolaryngoscopes present the tube at an angle where it is likely to impact on the anterior tracheal wall, necessitating the use of an introducer or channelled blade. Even then, other manoeuvres may be necessary for successful tube advancement. Bimanual laryngoscopy can be useful here, not only to bring the larynx into view but also to flatten the vestibule axis, facilitating tube advancement. 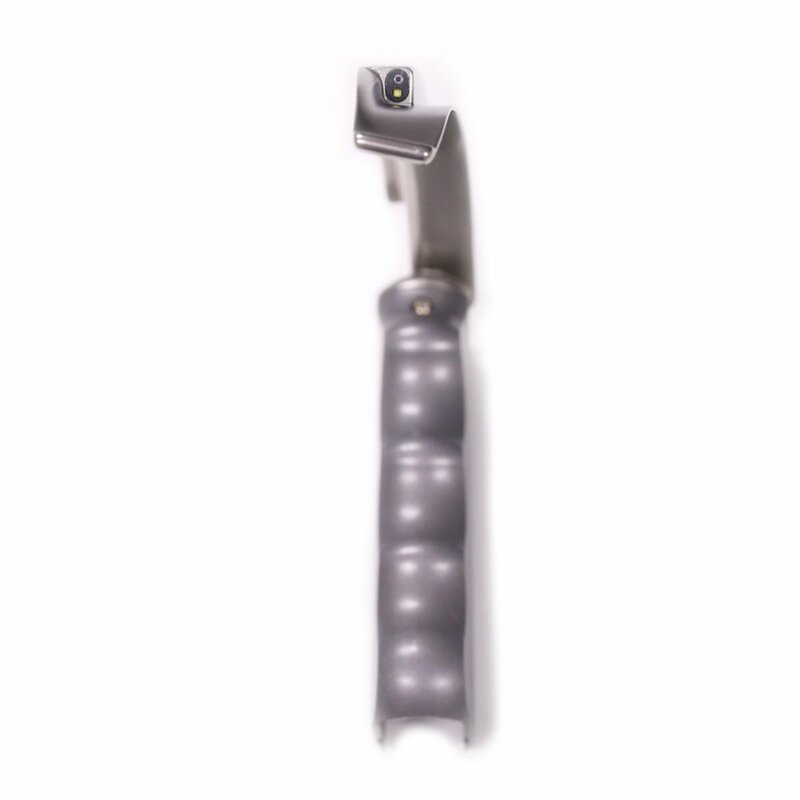 The polio blade is angled at 135 degrees to the laryngoscope handle. It can be of use in patients with large breasts or antesternal space restriction, and is most often used in obstetric anaesthesia. 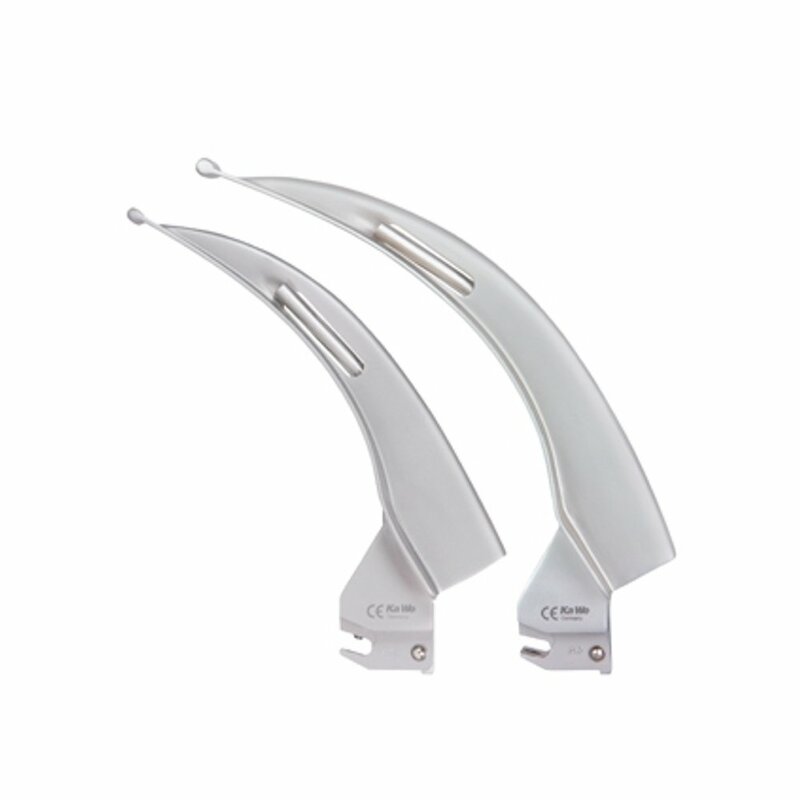 It is commonly fitted with a short handle that also helps to avoid the pronounced chest wall. 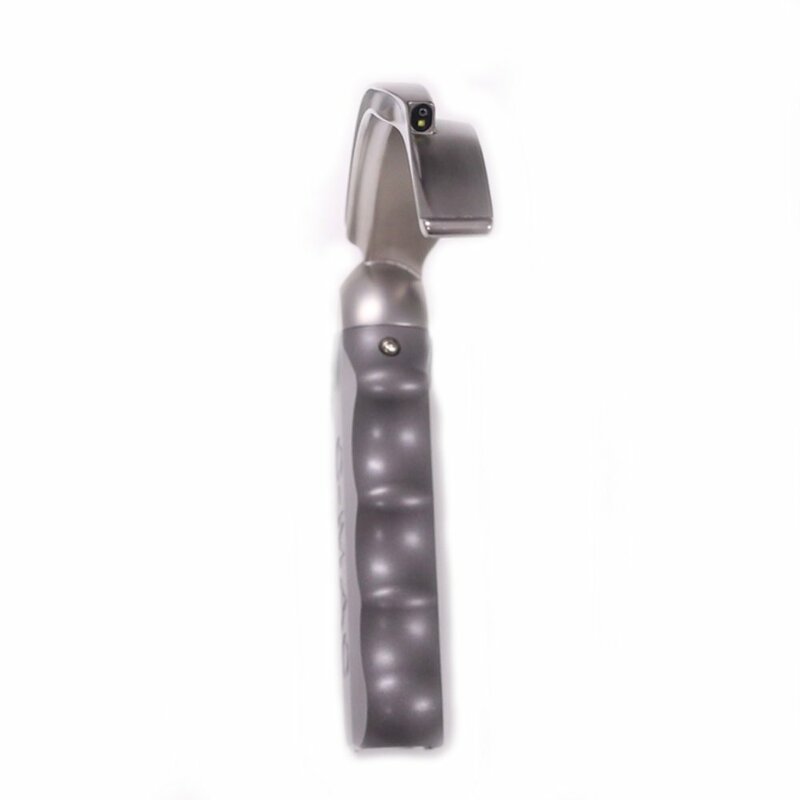 Angulated blade videolaryngoscopes, such as the Storz™ C-Mac™ D-blade and the Ambu™ King Vision™ may be especially useful in cases where there is anterior column pathology (such that the primary curve cannot be modified by compression or displacement) or posterior column pathology (such that the secondary curve is also unfavourably positioned). 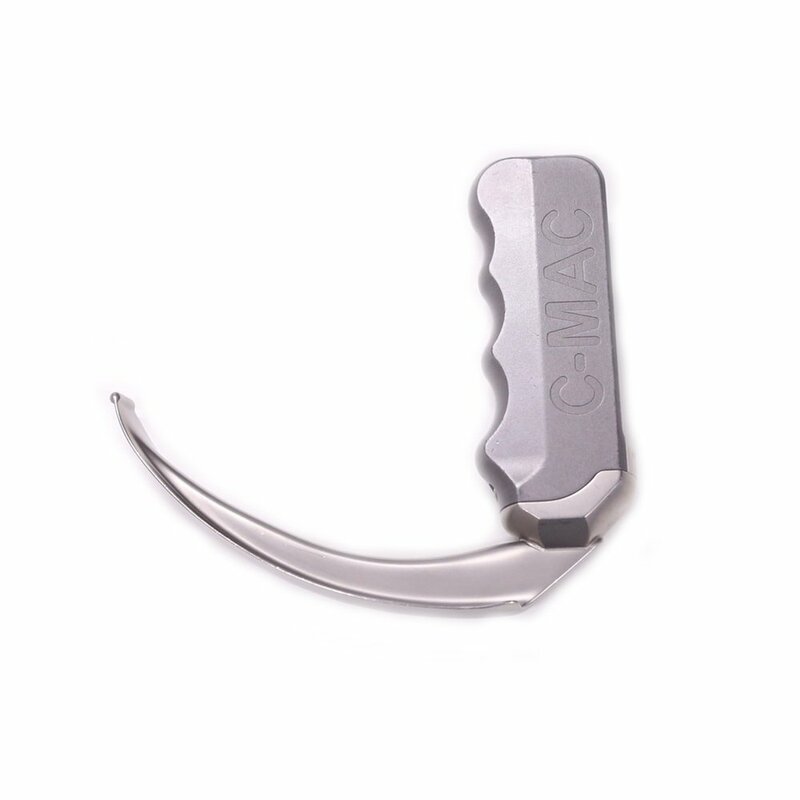 These devices require the use of an introducer or channelled blade, and again can be useful for teaching airway management. 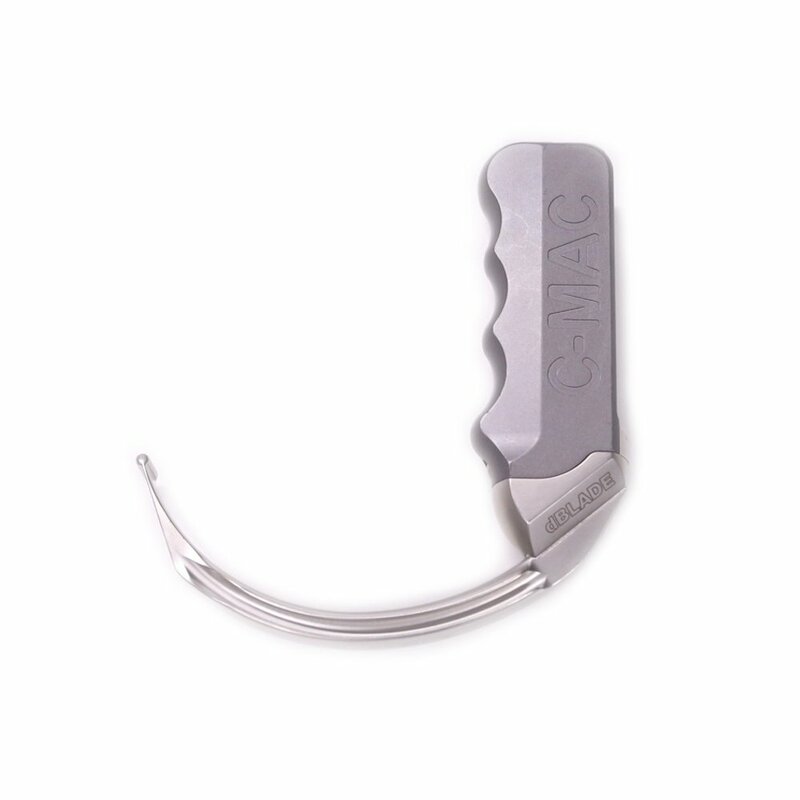 Of note, the Storz C-Mac D-Blade has a channel for a bougie on the left hand side of the blade, which can help to direct it into the glottis, a task that can otherwise be difficult with hyper-angulated blades. Bannister F, Macbeth R. Direct laryngoscopy and tracheal intubation. Lancet 1944; 244: 651–4. Adnet F, Borron SW, Dumas JL, Lapostolle F, Cupa M, Lapandry C. Study of the “sniffing position” by magnetic resonance imaging. Anesthesiology. 2001;94(1):83-86. Greenland KB, Edwards MJ, Hutton NJ, Challis VJ, Irwin MG, Sleigh JW. Changes in airway configuration with different head and neck positions using magnetic resonance imaging of normal airways: a new concept with possible clinical applications. British journal of anaesthesia. 2010;105(5):683-690. Greenland KB, Edwards MJ, Hutton NJ. External auditory meatus-sternal notch relationship in adults in the sniffing position: a magnetic resonance imaging study. British journal of anaesthesia. 2010;104(2):268-269. Collins JS, Lemmens HJ, Brodsky JB, Brock-Utne JG, Levitan RM. Laryngoscopy and morbid obesity: a comparison of the “sniff” and “ramped” positions. Obesity surgery. 2004;14(9):1171-1175. Greenland KB. 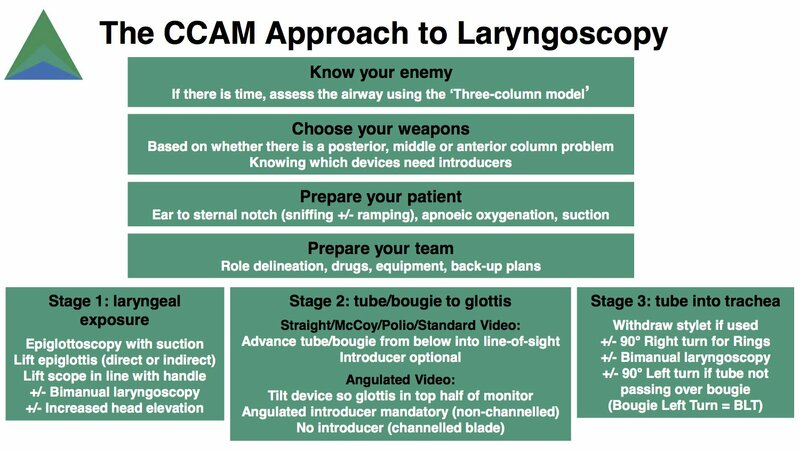 A proposed model for direct laryngoscopy and tracheal intubation. Anaesthesia. 2008;63(2):156-161. Ezri T, Medalion B, Weisenberg M, Szmuk P, Warters RD, Charuzi I. Increased body mass index per se is not a predictor of difficult laryngoscopy. Canadian journal of anaesthesia = Journal canadien d’anesthesie. 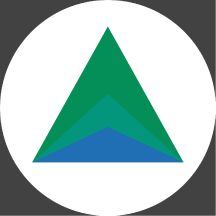 2003;50(2):179-183. Weingart SD, Levitan RM. Preoxygenation and prevention of desaturation during emergency airway management. Annals of emergency medicine. 2012;59(3):165-175 e161. Taha SK, Siddik-Sayyid SM, El-Khatib MF, Dagher CM, Hakki MA, Baraka AS. Nasopharyngeal oxygen insufflation following pre-oxygenation using the four deep breath technique. Anaesthesia. 2006;61(5):427-430. Ramachandran SK, Cosnowski A, Shanks A, Turner CR. Apneic oxygenation during prolonged laryngoscopy in obese patients: a randomized, controlled trial of nasal oxygen administration. Journal of clinical anesthesia. 2010;22(3):164-168. Patel A, Nouraei SA. Transnasal Humidified Rapid-Insufflation Ventilatory Exchange (THRIVE): a physiological method of increasing apnoea time in patients with difficult airways. Anaesthesia. 2015;70(3):323-329. Brainard A, Chuang D, Zeng I, Larkin GL. A Randomized Trial on Subject Tolerance and the Adverse Effects Associated With Higher- vs Lower-Flow Oxygen Through a Standard Nasal Cannula. Annals of emergency medicine. 2014. Levitan RM, Heitz JW, Sweeney M, Cooper RM. The complexities of tracheal intubation with direct laryngoscopy and alternative intubation devices. Annals of emergency medicine. 2011;57(3):240-247. Knill RL. Difficult laryngoscopy made easy with a “BURP”. Canadian journal of anaesthesia = Journal canadien d’anesthesie. 1993;40(3):279-282. Levitan RM, Kinkle WC, Levin WJ, Everett WW. Laryngeal view during laryngoscopy: a randomized trial comparing cricoid pressure, backward-upward-rightward pressure, and bimanual laryngoscopy. Annals of emergency medicine. 2006;47(6):548-555. Levitan RM, Pisaturo JT, Kinkle WC, Butler K, Everett WW. 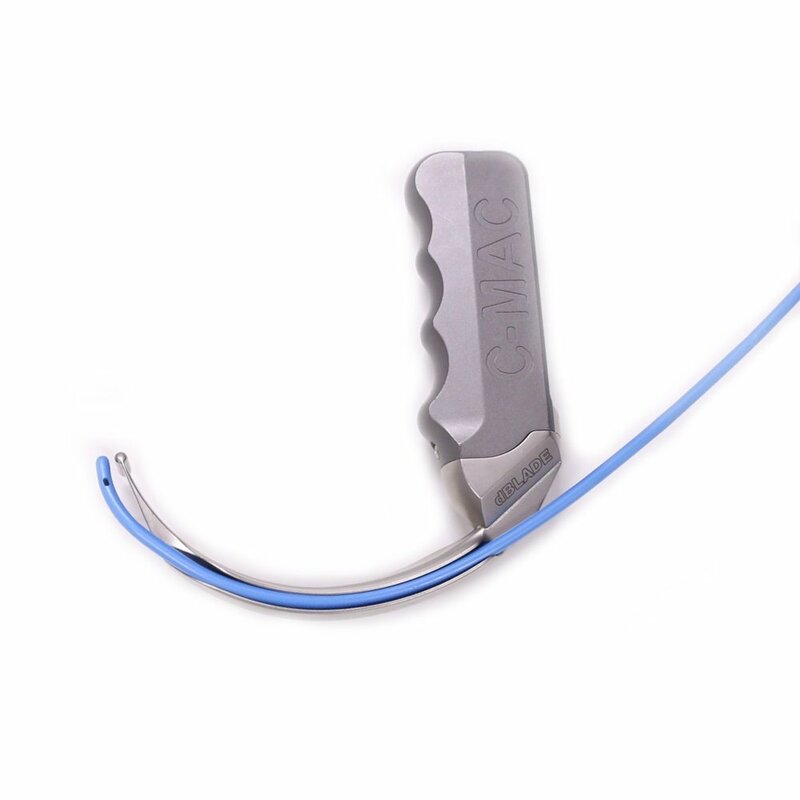 Stylet bend angles and tracheal tube passage using a straight-to-cuff shape. Academic emergency medicine : official journal of the Society for Academic Emergency Medicine. 2006;13(12):1255-1258. Dupanovic M, Isaacson SA, Borovcanin Z, et al. Clinical comparison of two stylet angles for orotracheal intubation with the GlideScope video laryngoscope. Journal of clinical anesthesia. 2010;22(5):352-359. Chisholm DG, Calder I. 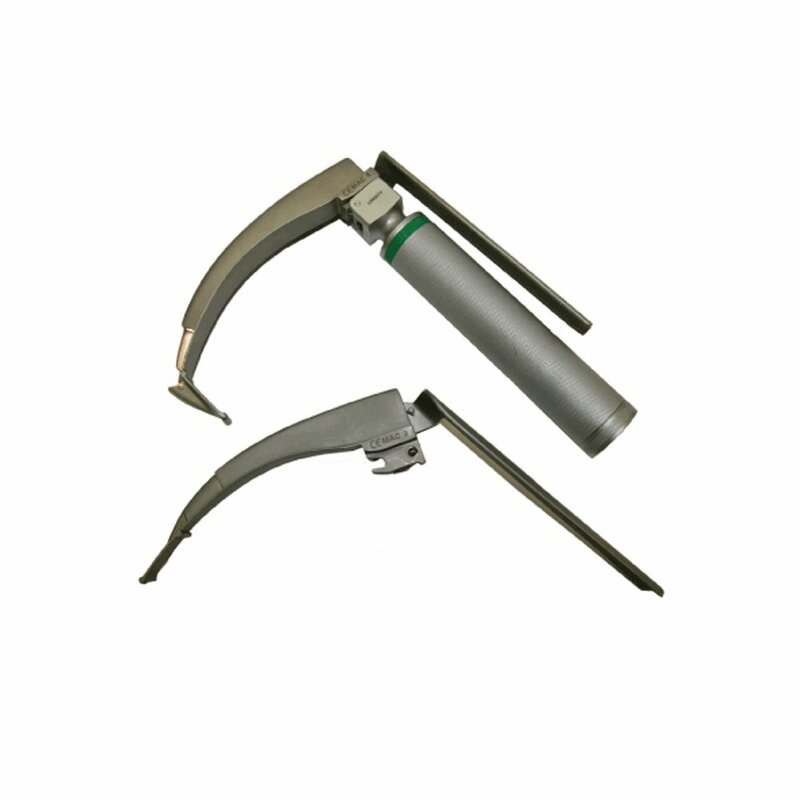 Experience with the McCoy laryngoscope in difficult laryngoscopy. Anaesthesia. 1997;52(9):906-908. Gabbott DA. Laryngoscopy using the McCoy laryngoscope after application of a cervical collar. Anaesthesia. 1996;51(9):812-814. 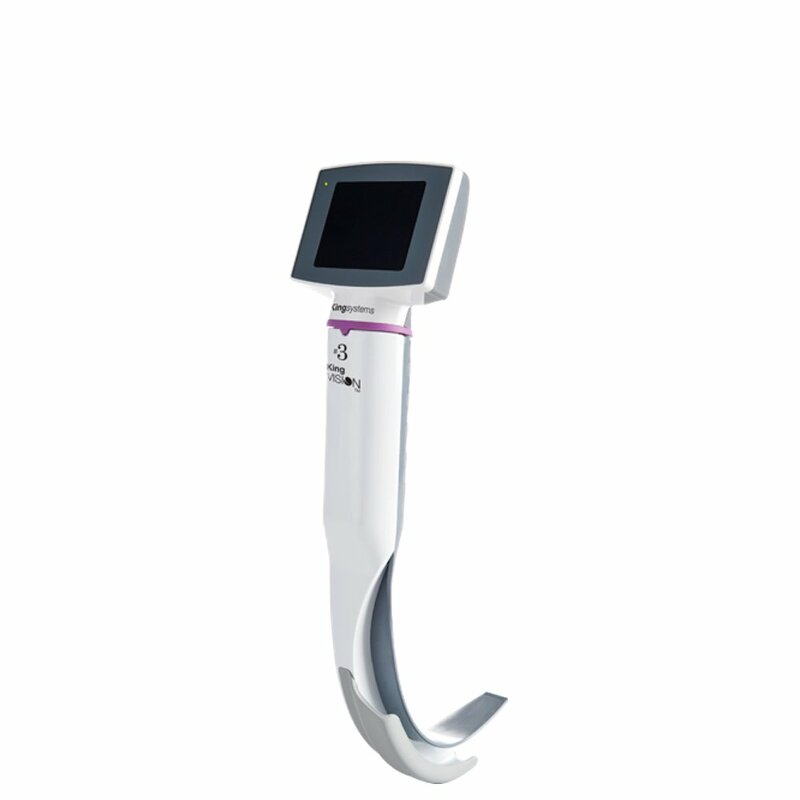 Uchida T, Hikawa Y, Saito Y, Yasuda K. The McCoy levering laryngoscope in patients with limited neck extension. Canadian journal of anaesthesia = Journal canadien d’anesthesie. 1997;44(6):674-676. Benumof JL. Difficult laryngoscopy: obtaining the best view. Canadian journal of anaesthesia = Journal canadien d’anesthesie. 1994;41(5 Pt 1):361-365. Henderson JJ. 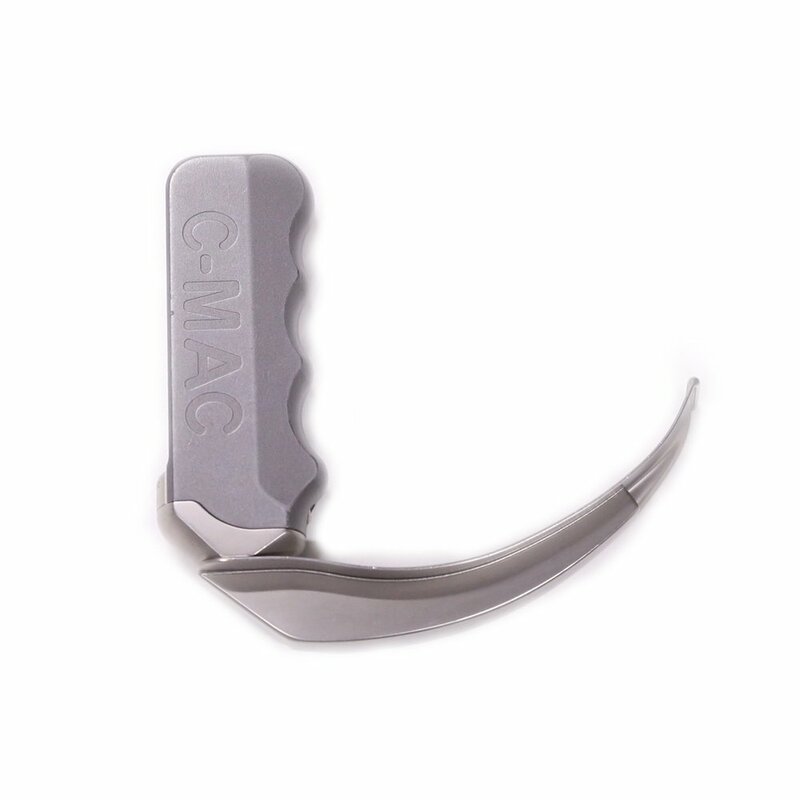 The use of paraglossal straight blade laryngoscopy in difficult tracheal intubation. Anaesthesia. 1997;52(6):552-560. Henderson JJ. 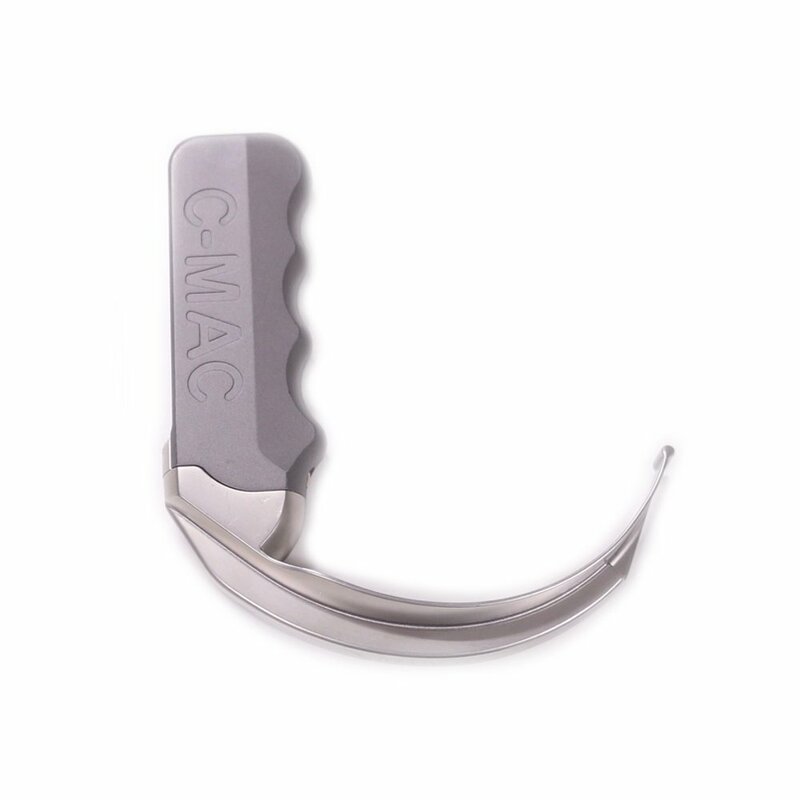 Questions about the macintosh laryngoscope and technique of laryngoscopy. European journal of anaesthesiology. 2000;17(1):2-5. Zaouter C, Calderon J, Hemmerling TM. Videolaryngoscopy as a new standard of care. British journal of anaesthesia. 2015;114(2):181-183. Aziz MF, Healy D, Kheterpal S, Fu RF, Dillman D, Brambrink AM. Routine clinical practice effectiveness of the Glidescope in difficult airway management: an analysis of 2,004 Glidescope intubations, complications, and failures from two institutions. Anesthesiology. 2011;114(1):34-41. Noppens RR, Mobus S, Heid F, Schmidtmann I, Werner C, Piepho T. Evaluation of the McGrath Series 5 videolaryngoscope after failed direct laryngoscopy. Anaesthesia. 2010;65(7):716-720. Su YC, Chen CC, Lee YK, Lee JY, Lin KJ. Comparison of video laryngoscopes with direct laryngoscopy for tracheal intubation: a meta-analysis of randomised trials. European journal of anaesthesiology. 2011;28(11):788-795. Healy DW, Maties O, Hovord D, Kheterpal S. A systematic review of the role of videolaryngoscopy in successful orotracheal intubation. BMC anesthesiology. 2012;12:32. Herbstreit F, Fassbender P, Haberl H, Kehren C, Peters J. Learning endotracheal intubation using a novel videolaryngoscope improves intubation skills of medical students. Anesthesia and analgesia. 2011;113(3):586-590.